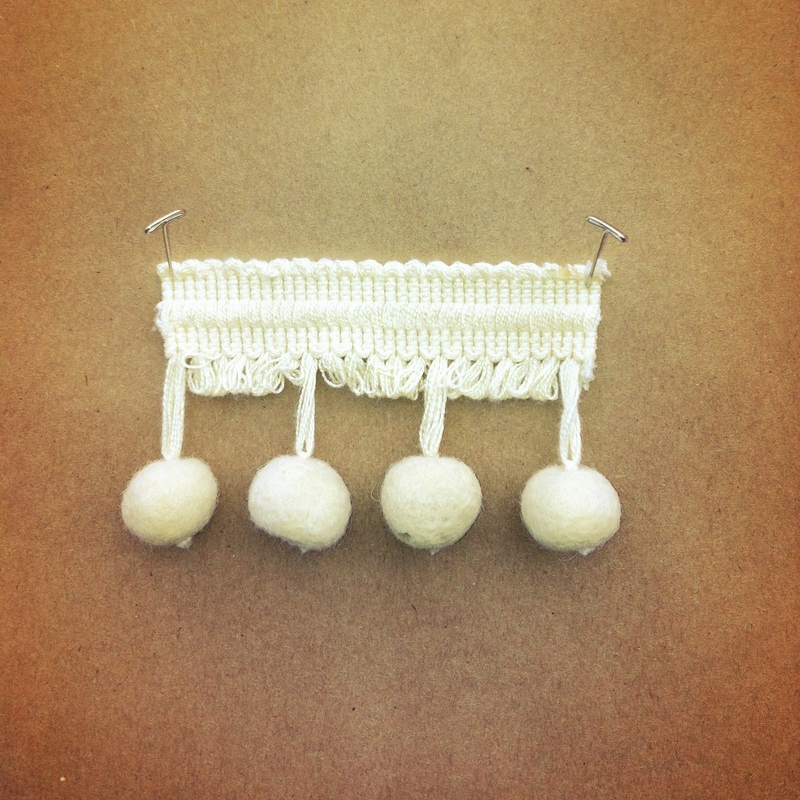 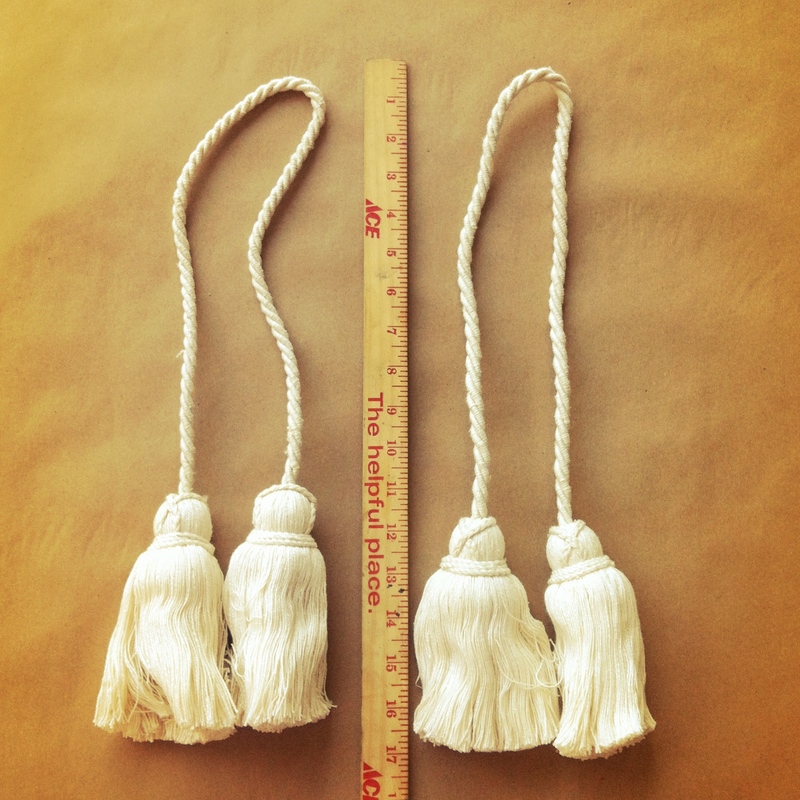 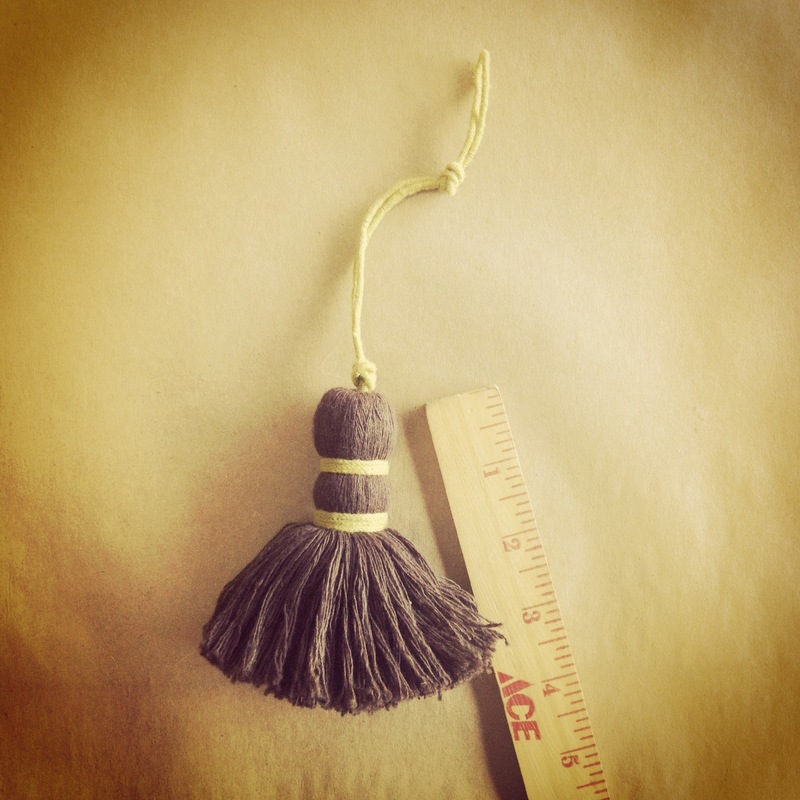 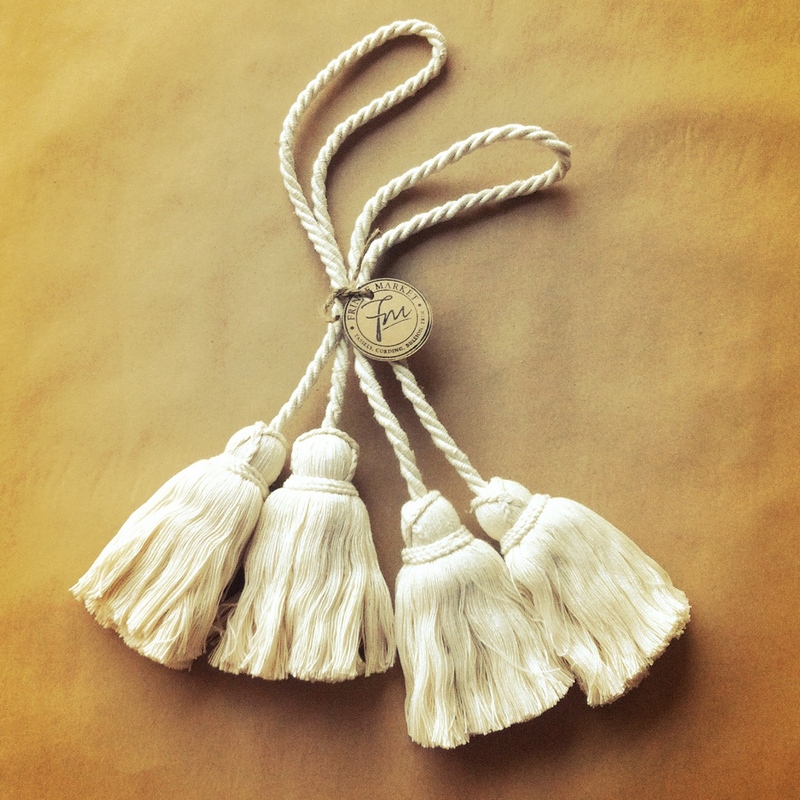 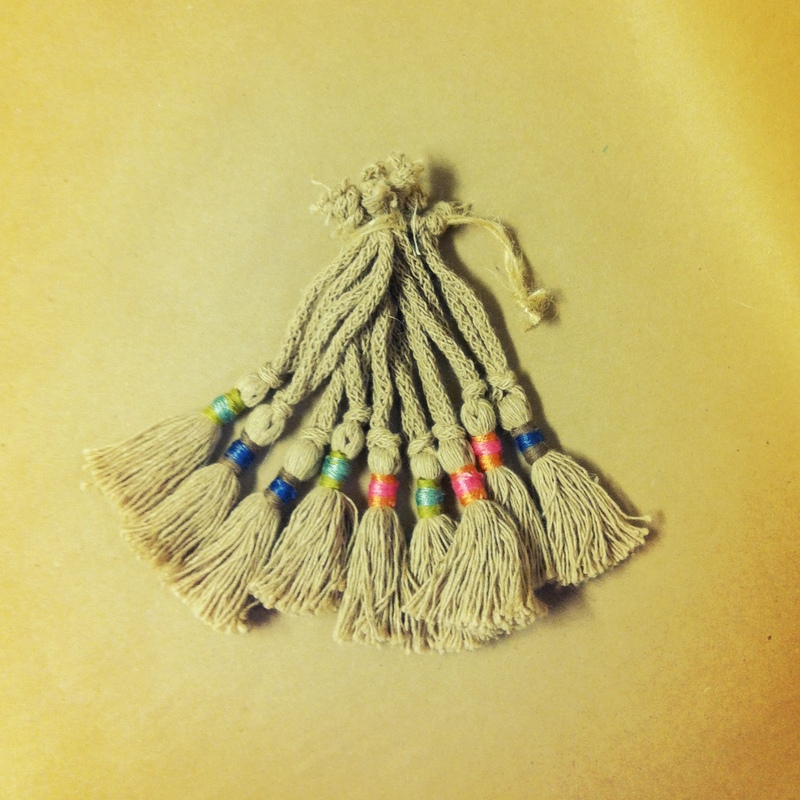 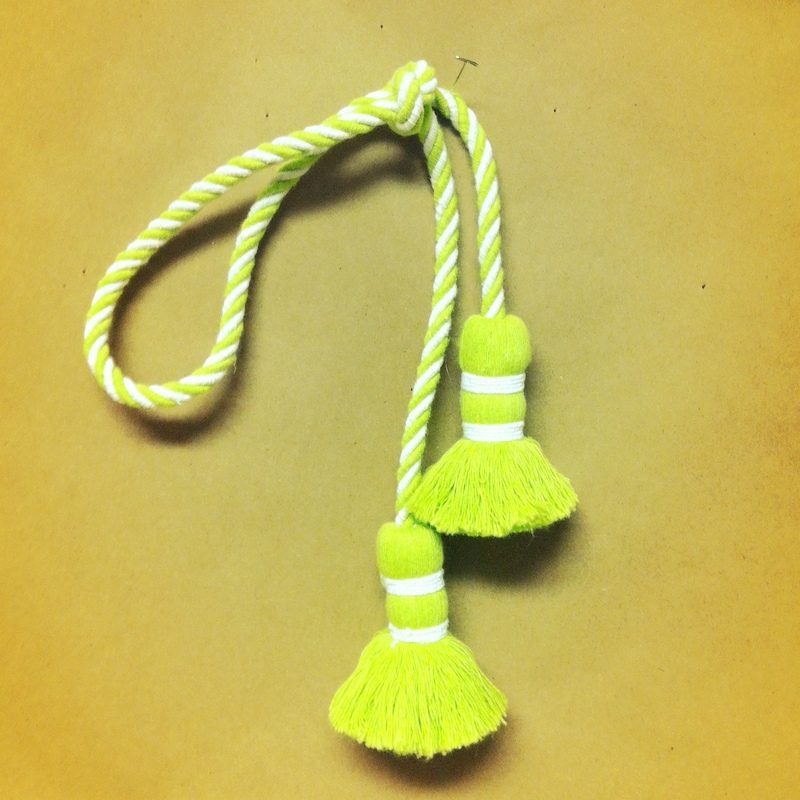 Pillow Tassels, Mini Tassels, Chair Ties ~ The sky’s the limit when it comes to our tassels. 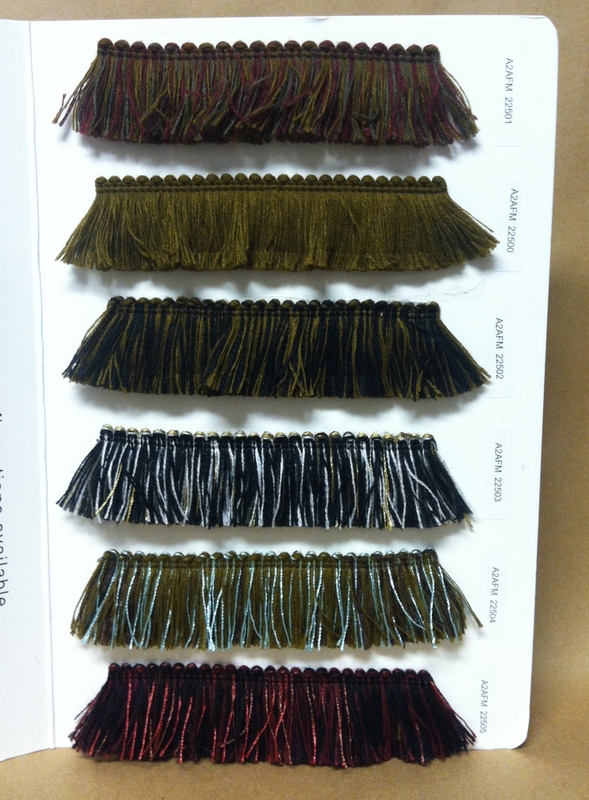 You pick color, you pick size, you tell us what you need to fit your design and we’ll create it for you. 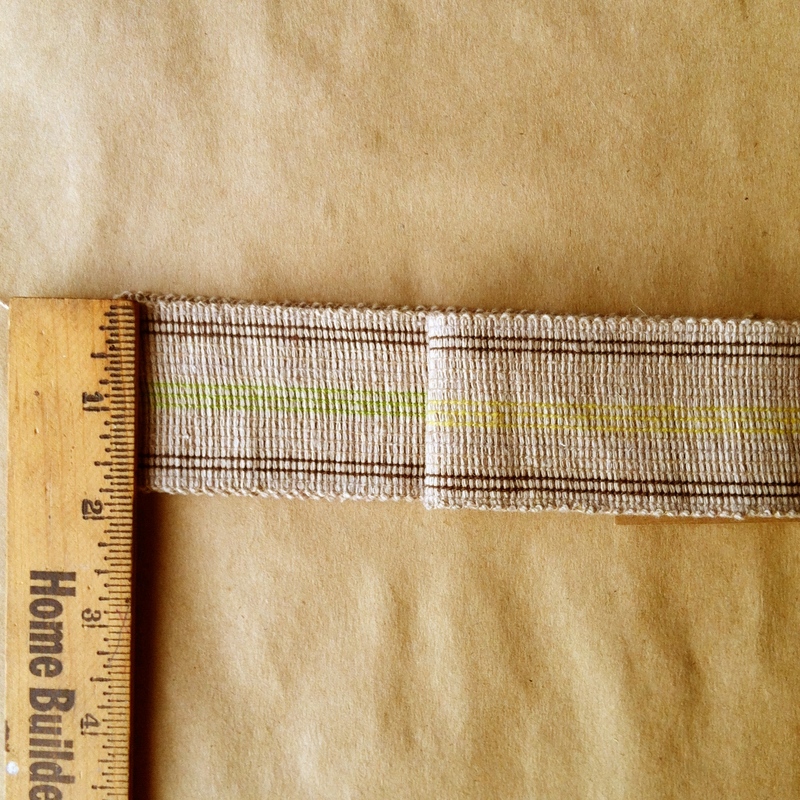 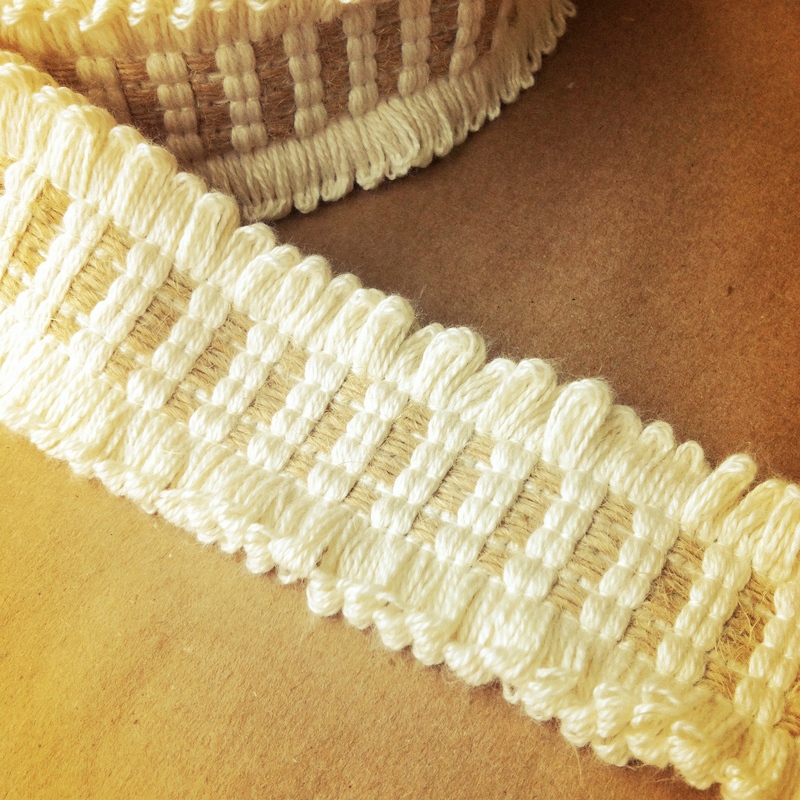 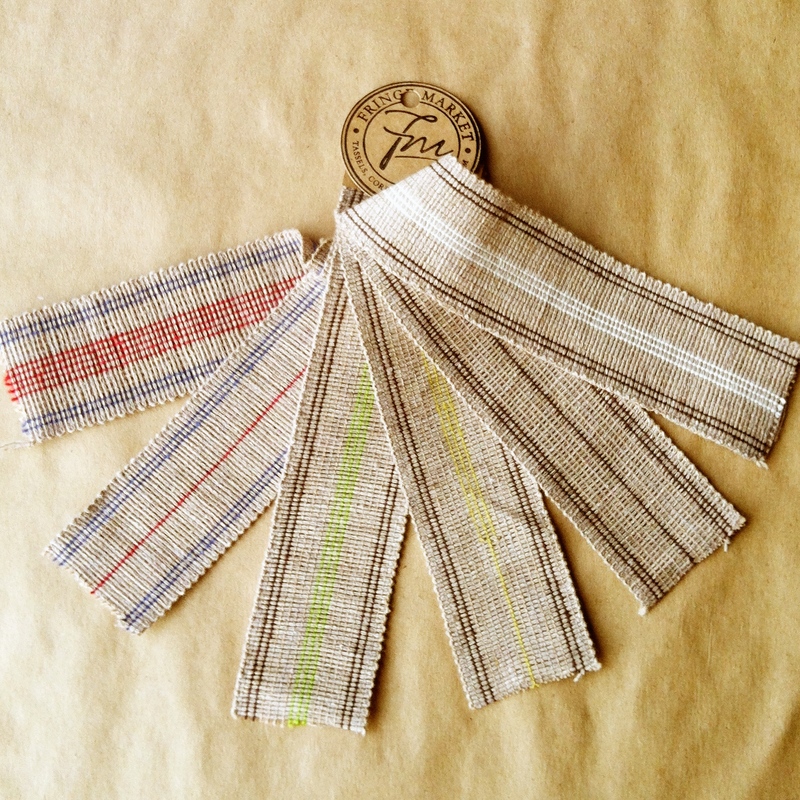 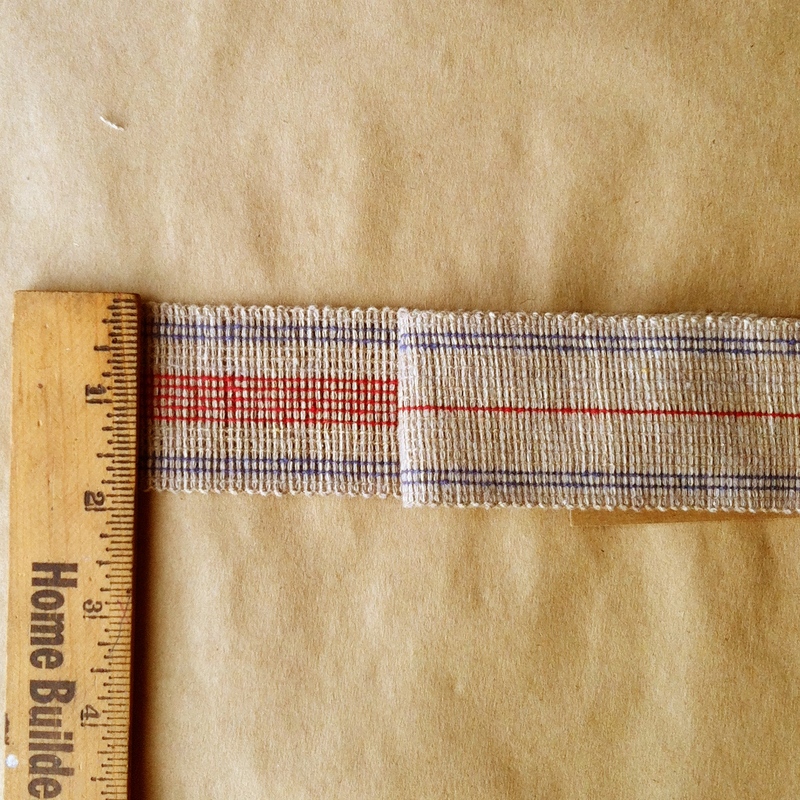 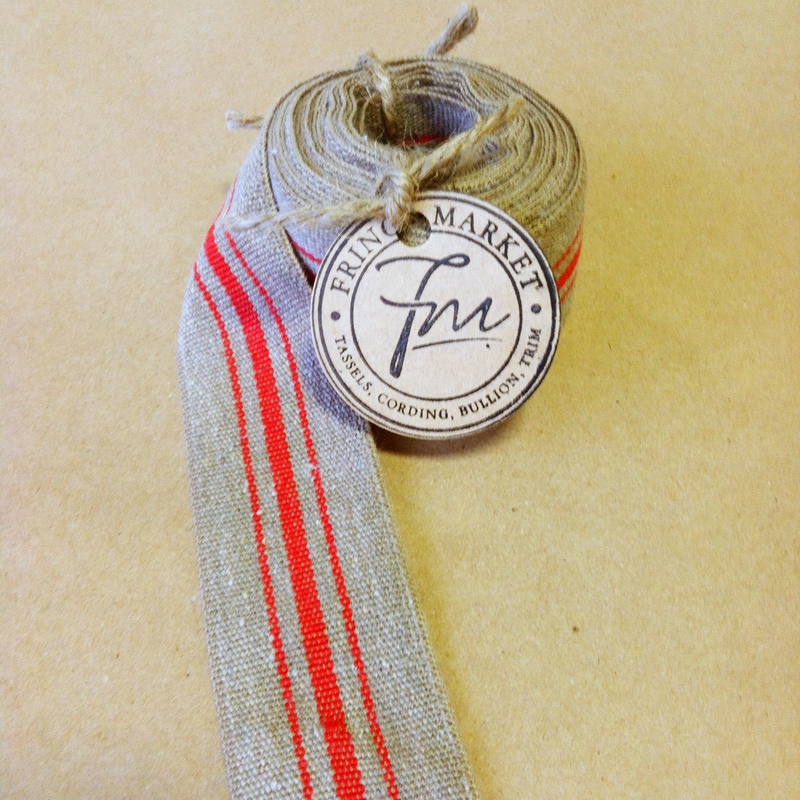 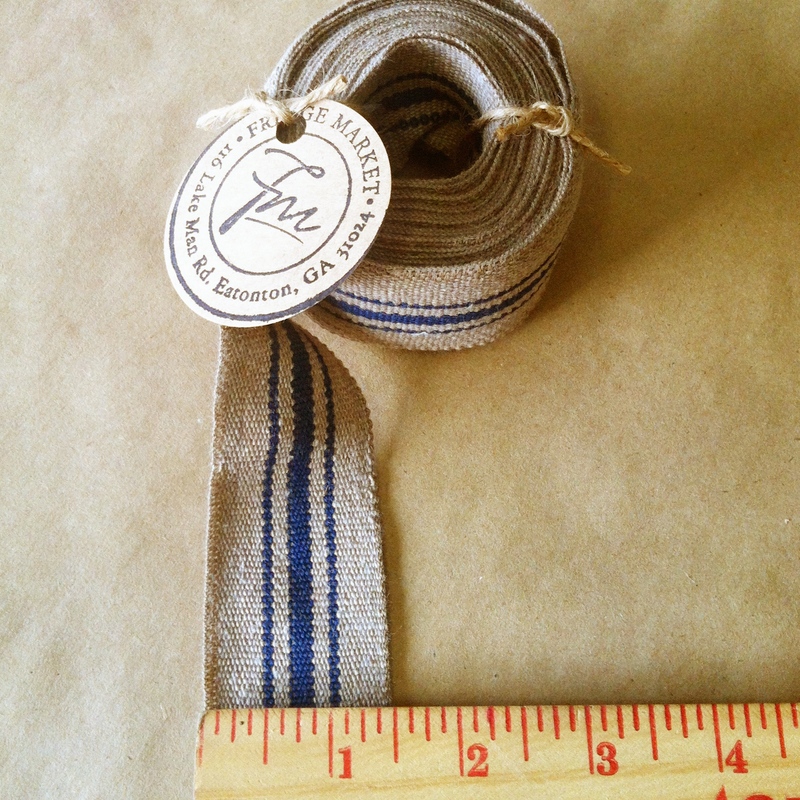 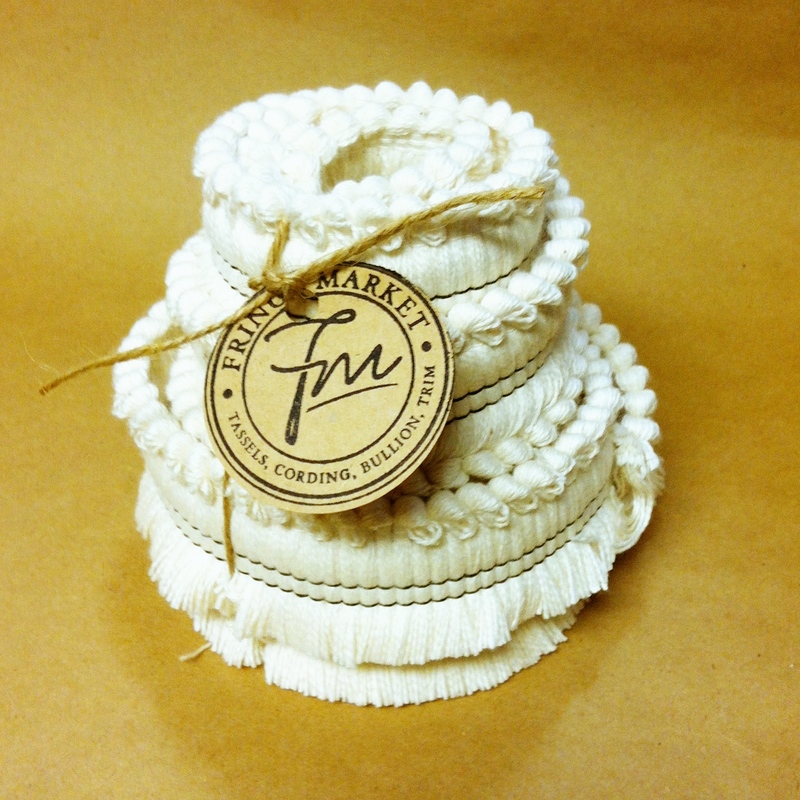 Grosgrains, Vintage Webbings, Grain Sack Cotton Tape ~ customize your tapes, bandings and webbings however you like! 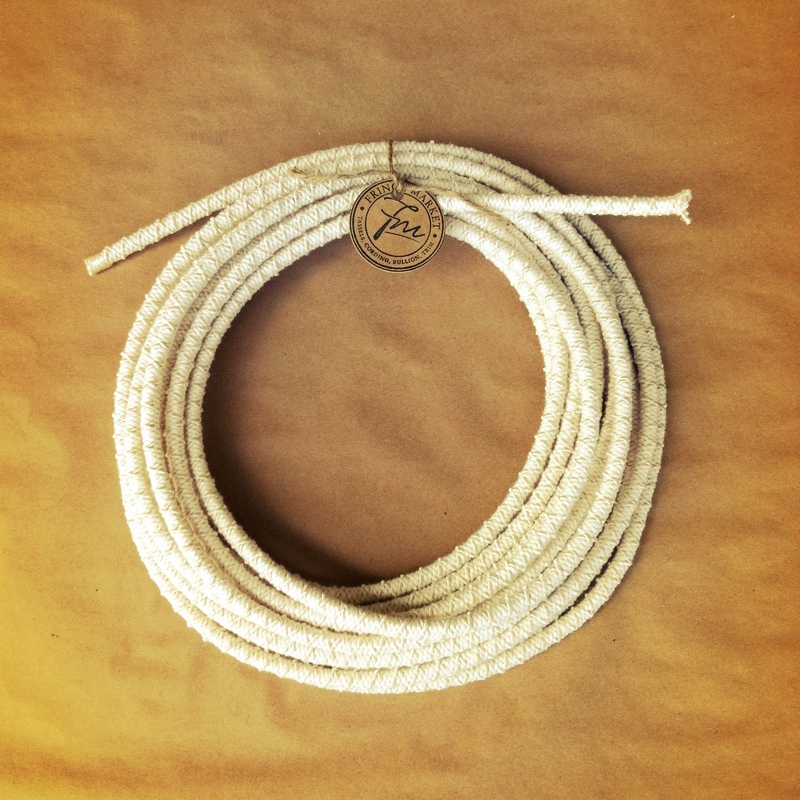 Micro cords are hot! 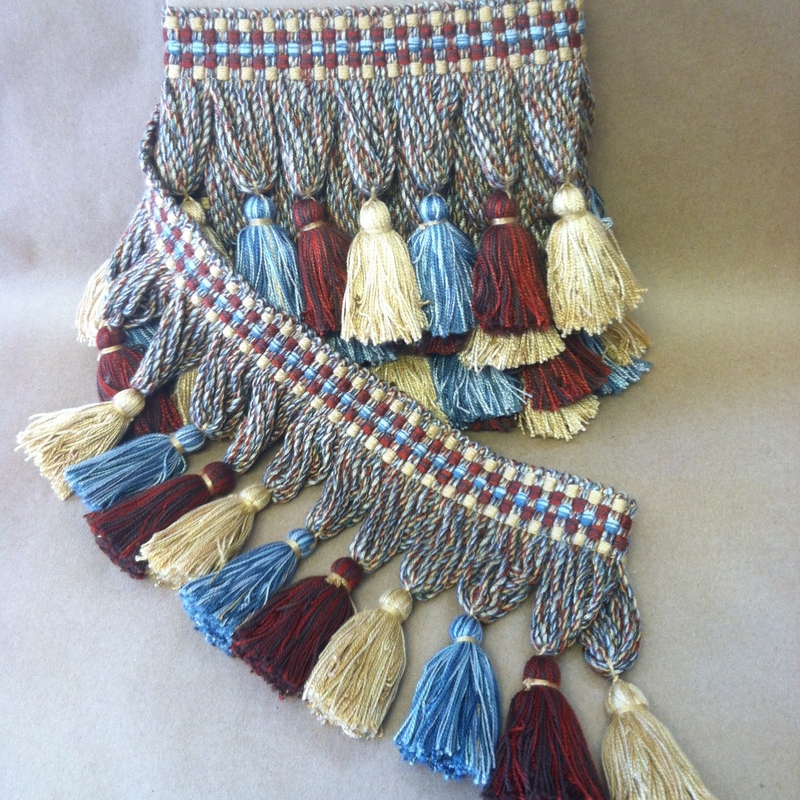 We have every color, if not, we will customize your colors. 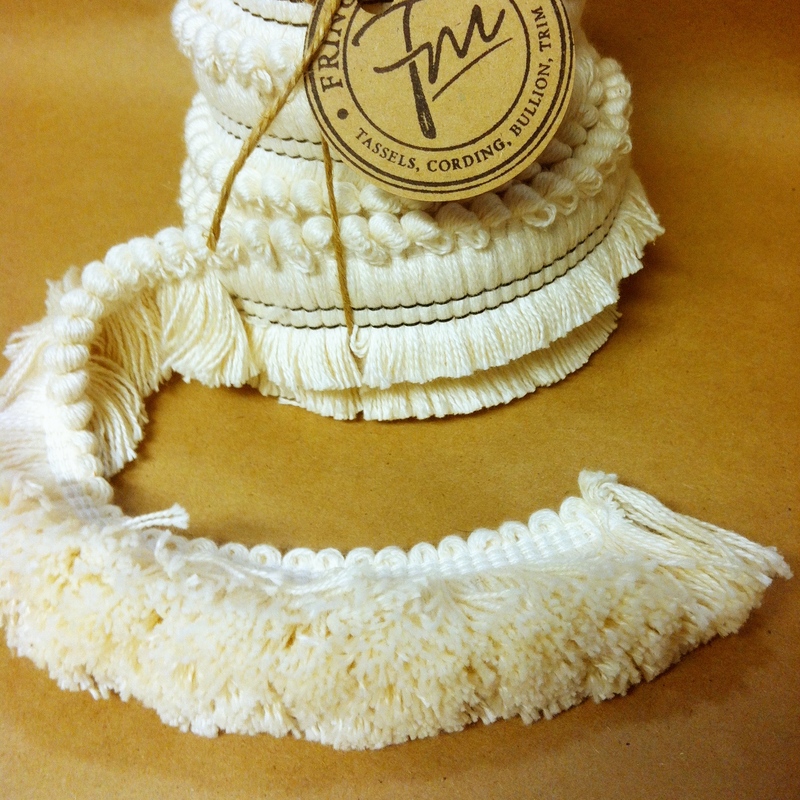 The best part of our jobs is making a client happy. 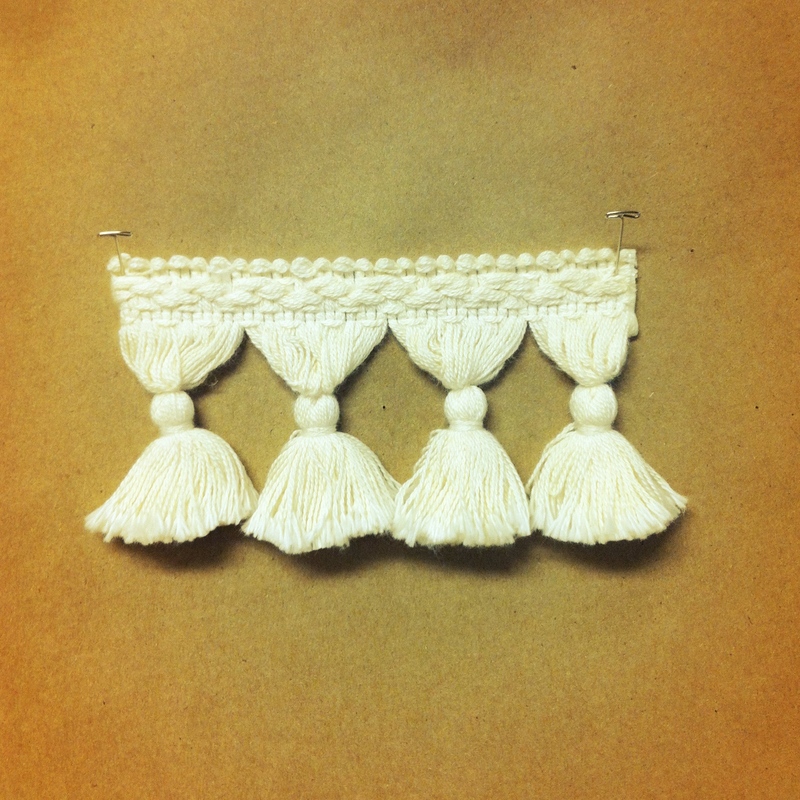 They came to us with discontinued trims and we were able to recreate. 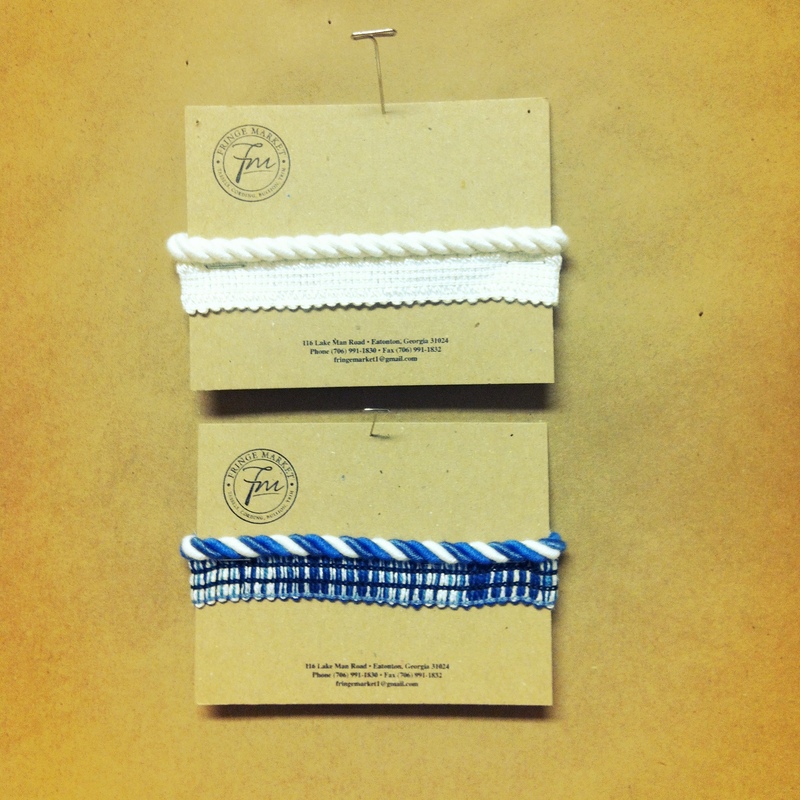 Our custom products are top left. 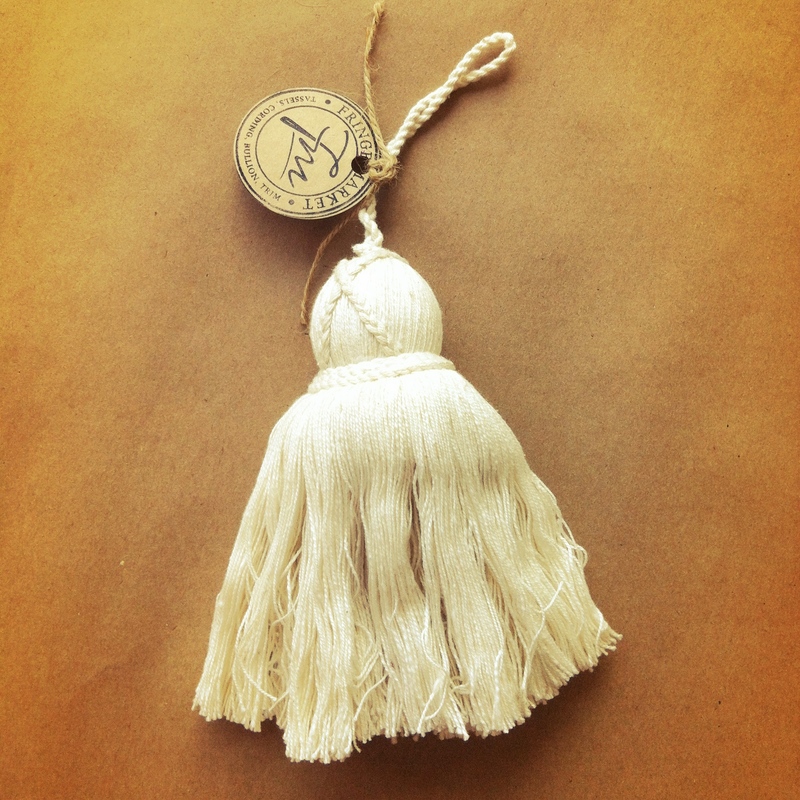 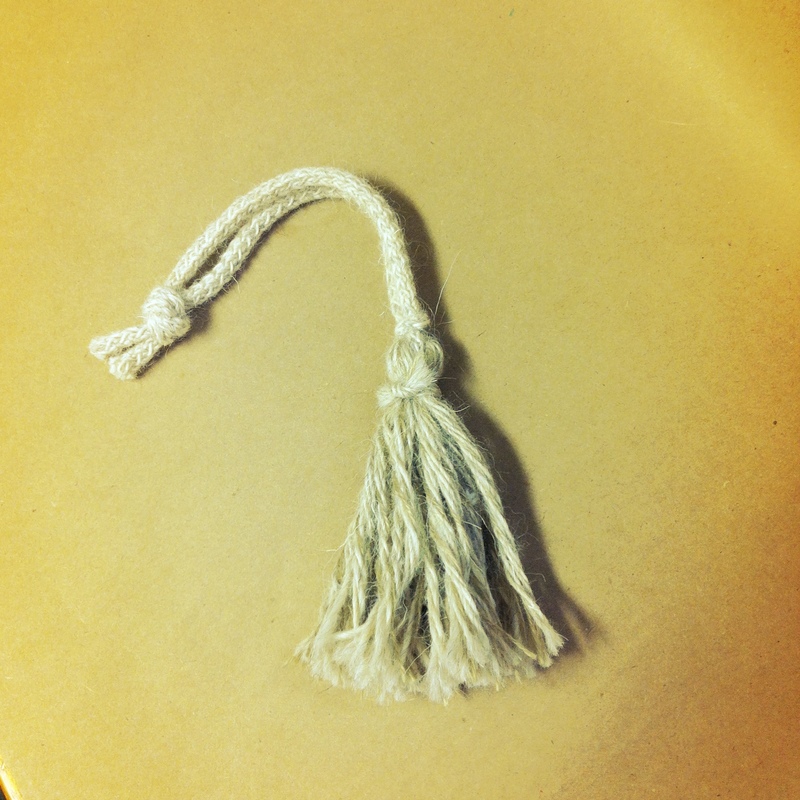 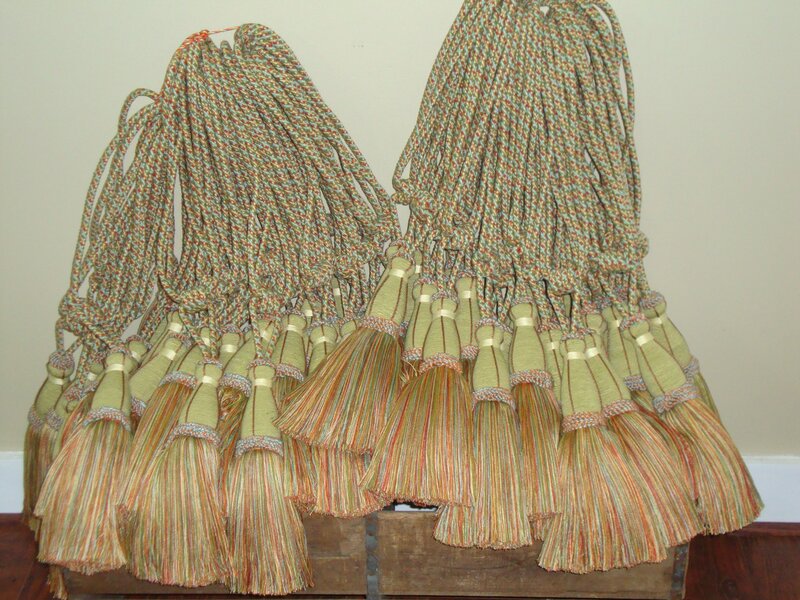 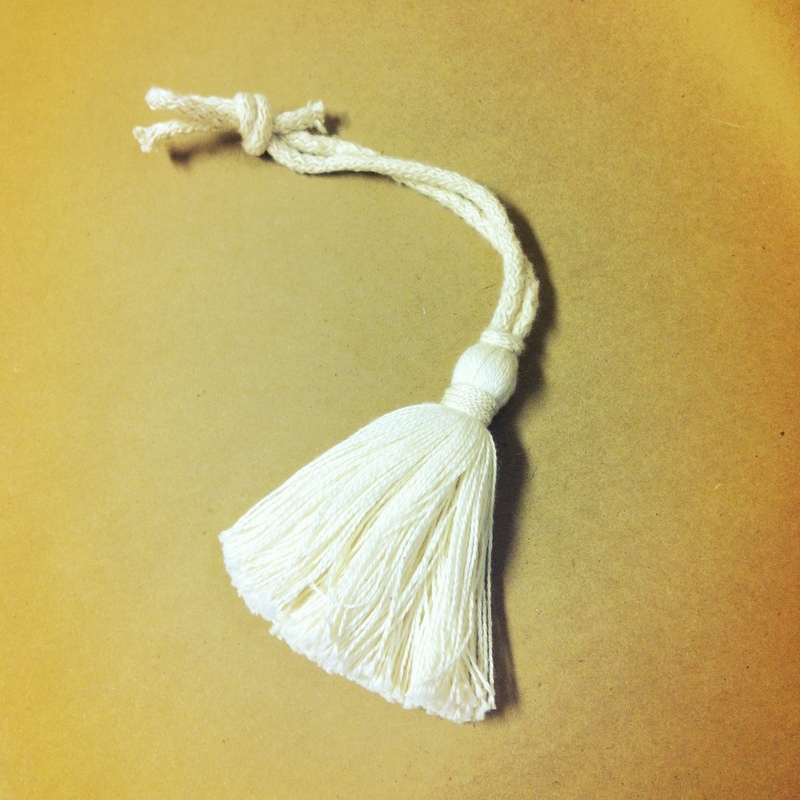 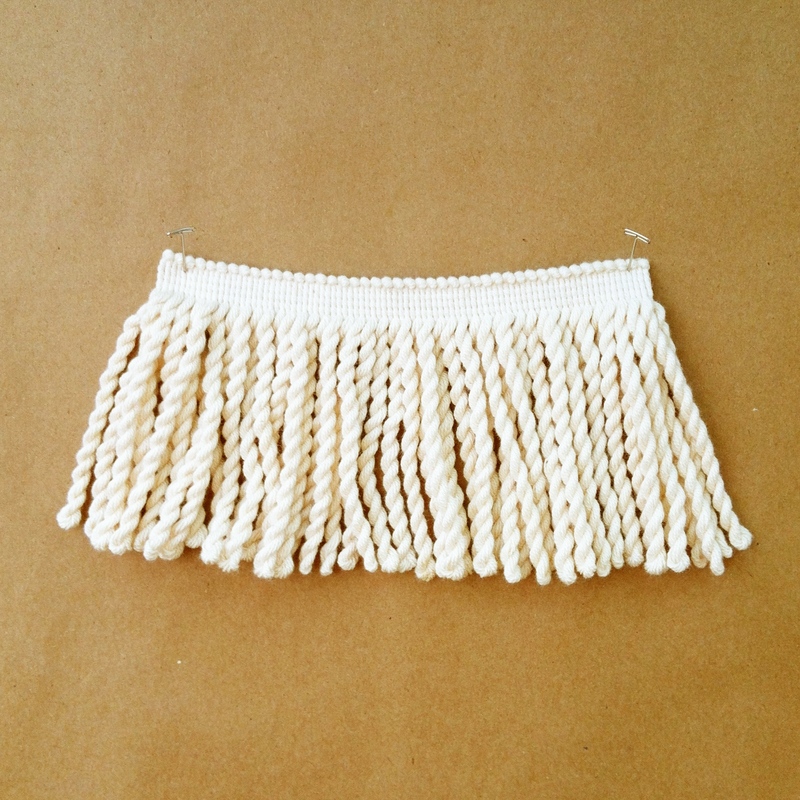 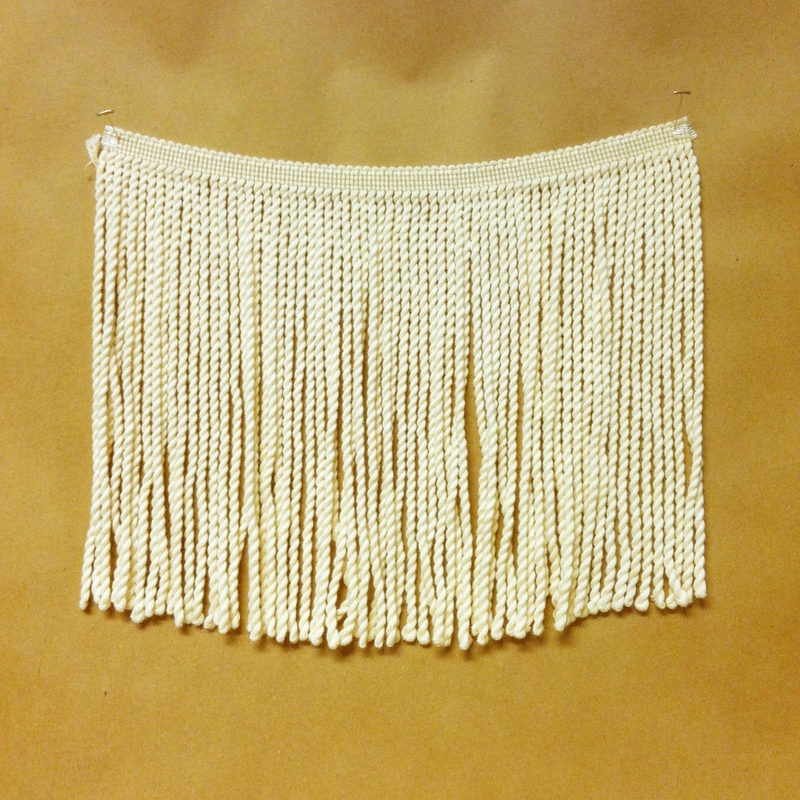 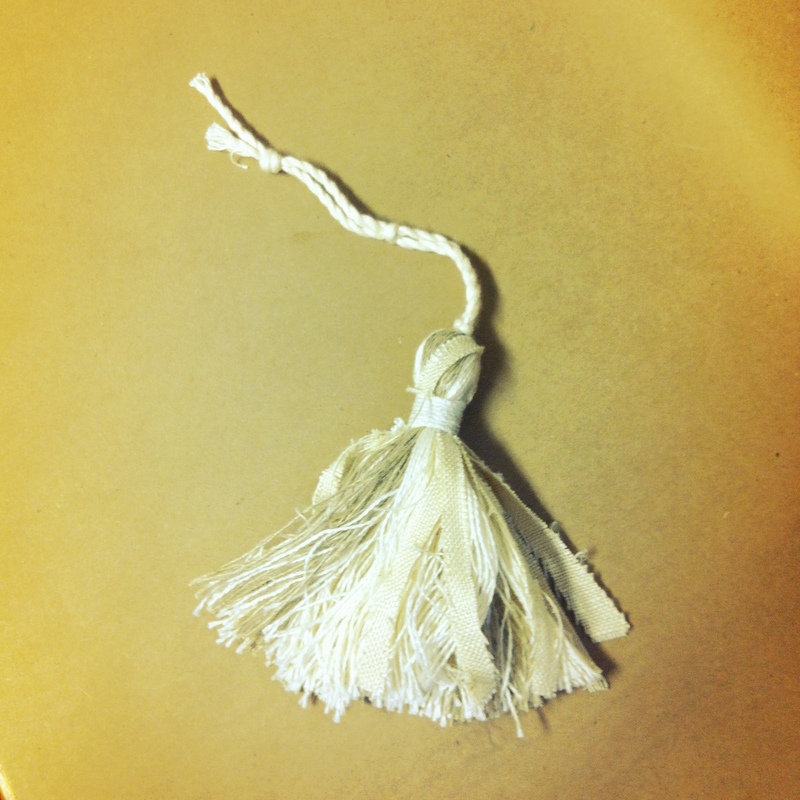 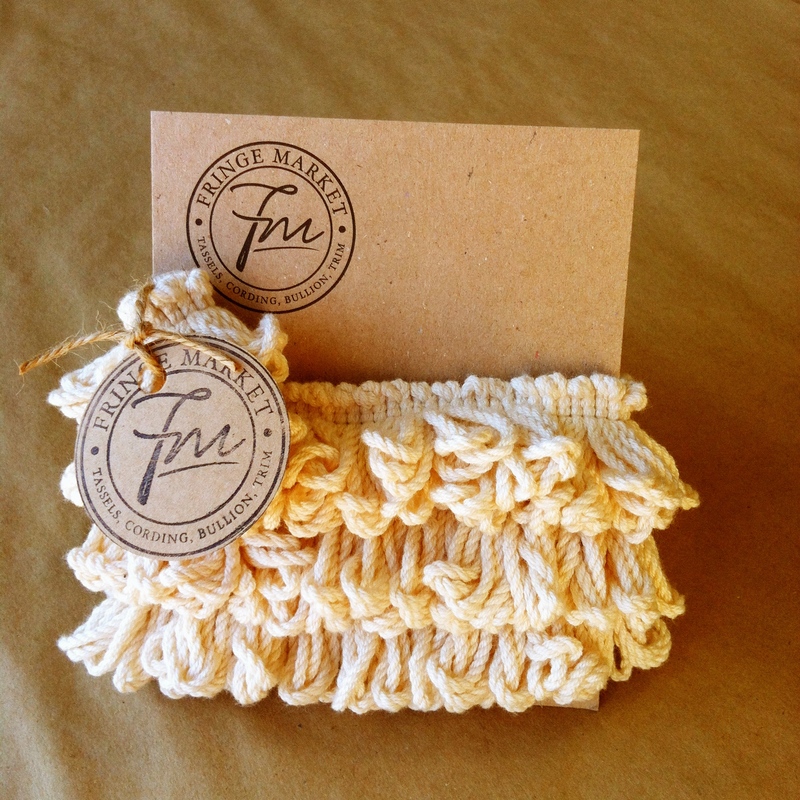 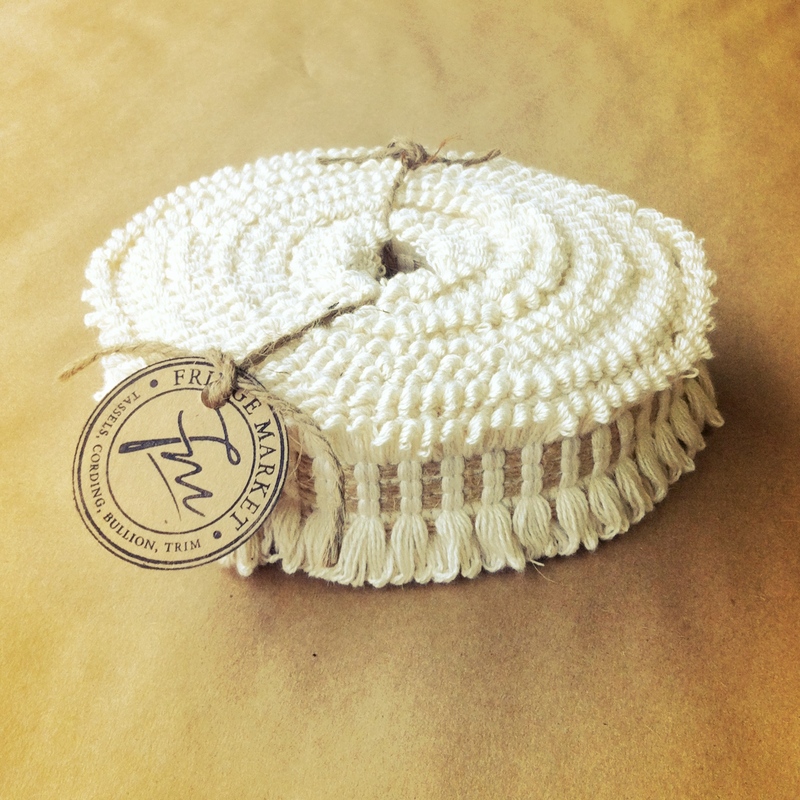 We ran 72 yards of this beautiful custom TF-4 (large 6 inch tassel fringe) for large panels. 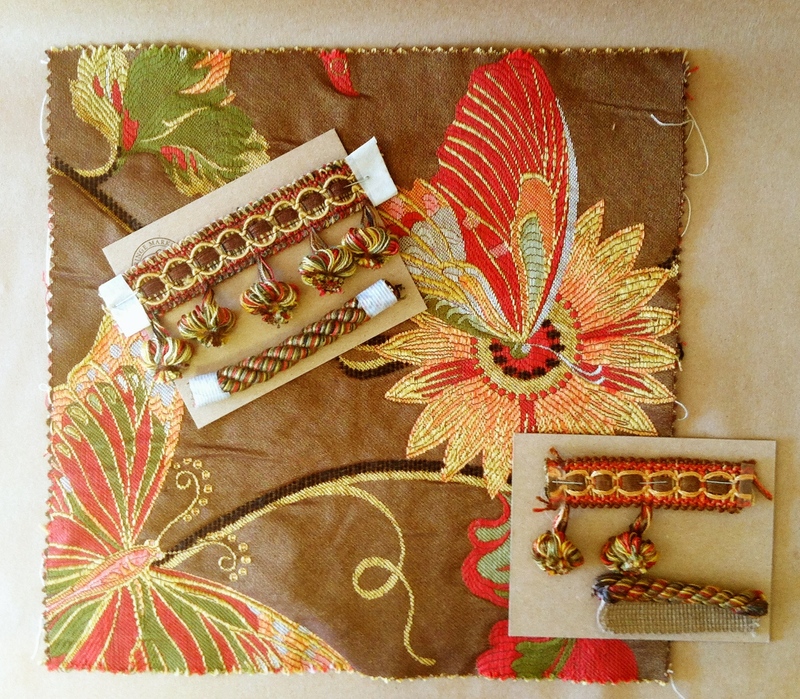 We made our customer very happy with matching his “Pheasant” fabric colors exactly. 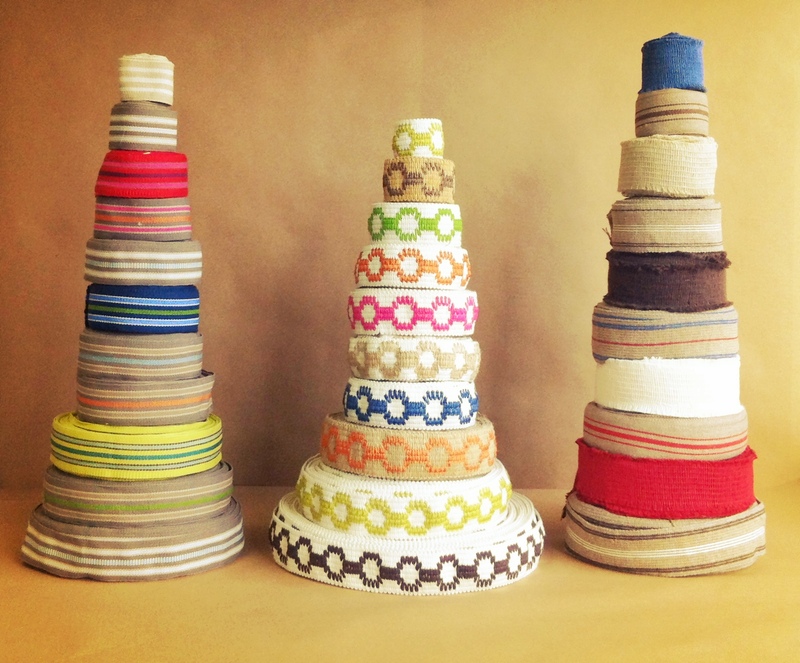 Tell us what colors, size and weight you need and we will build products to your specs. 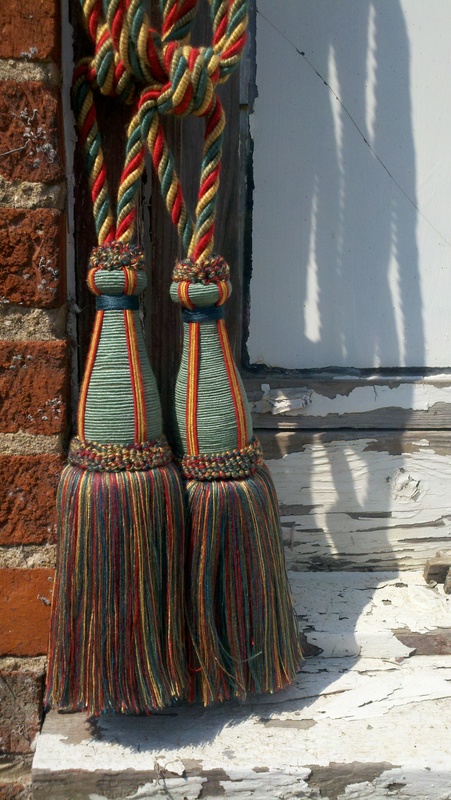 More colors and styles available. 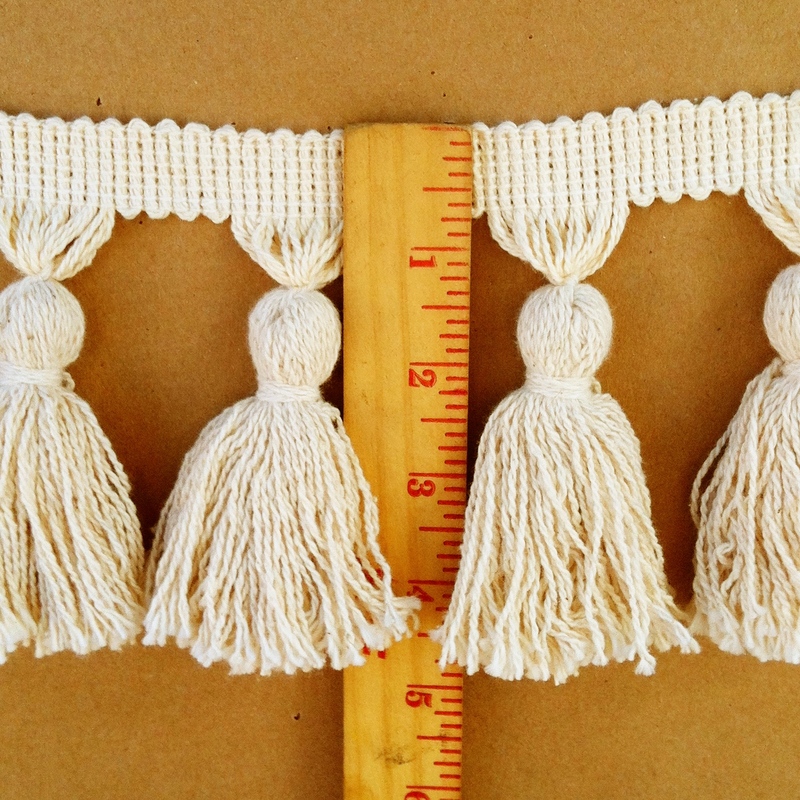 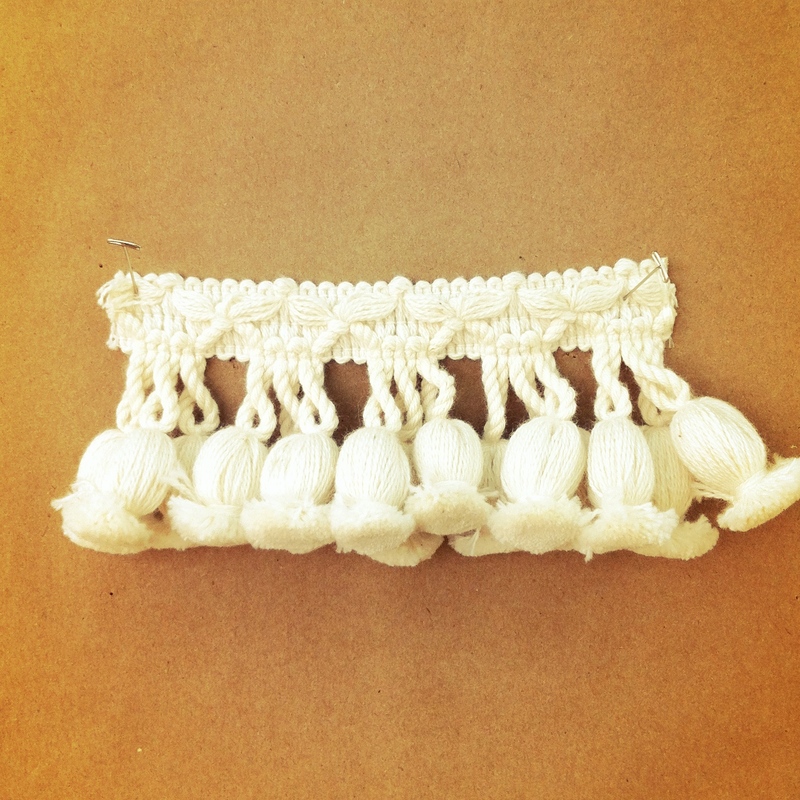 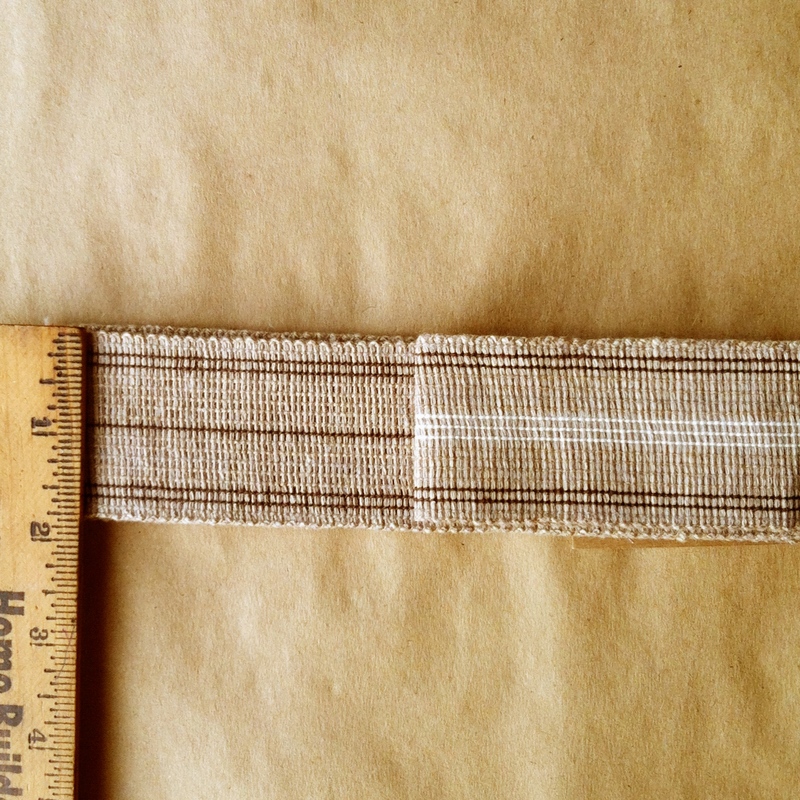 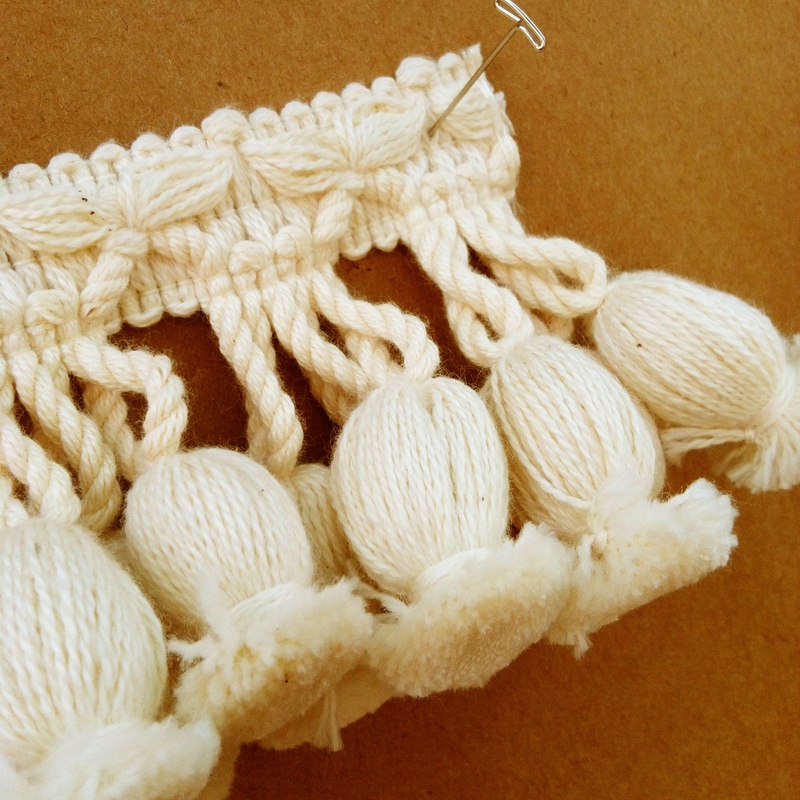 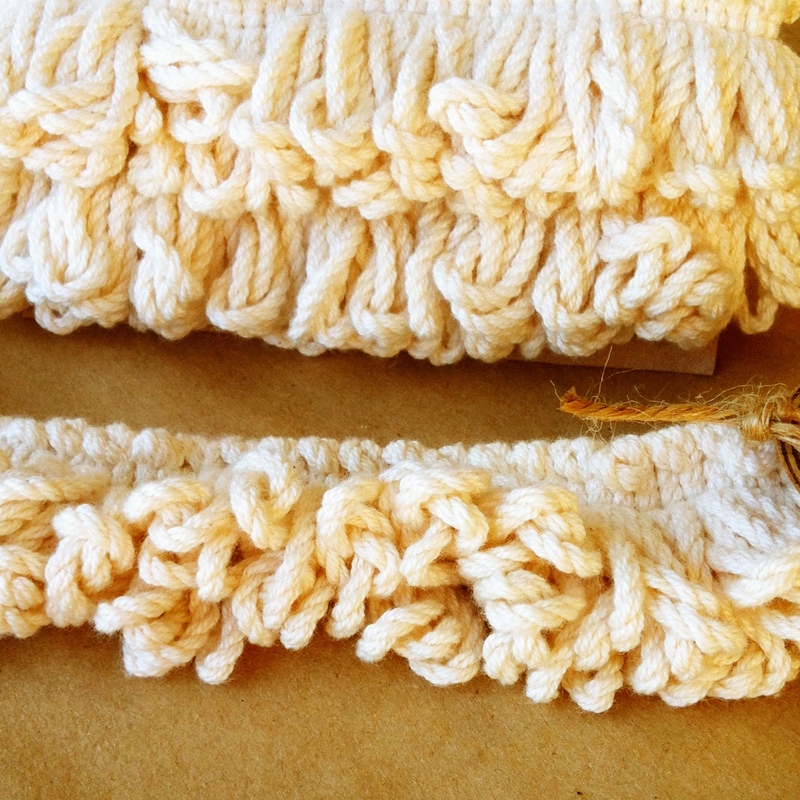 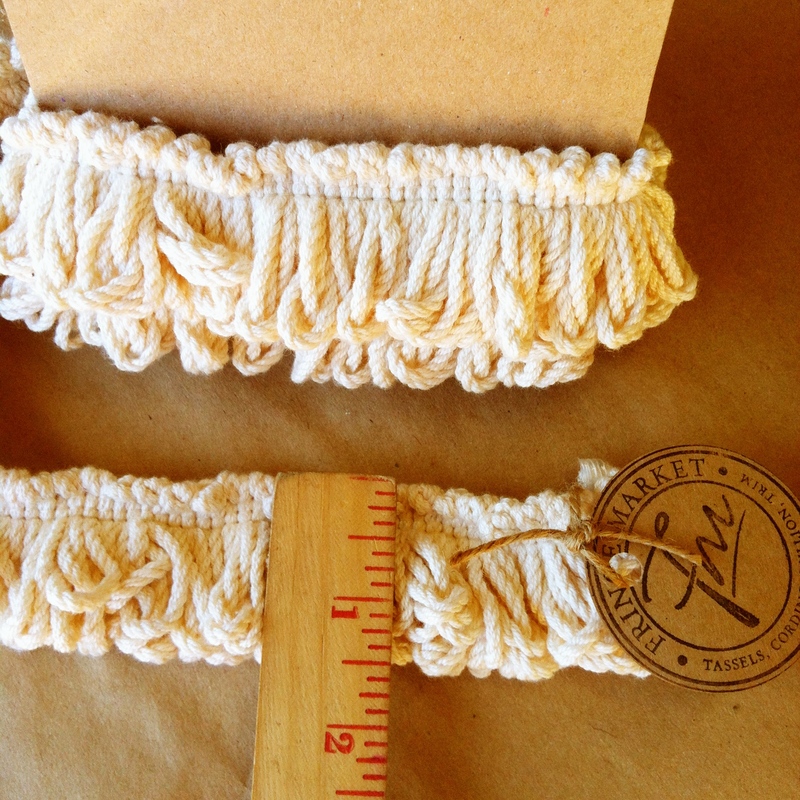 We can duplicate Drapery Tie Backs in most styles and custom color to your fabrics. 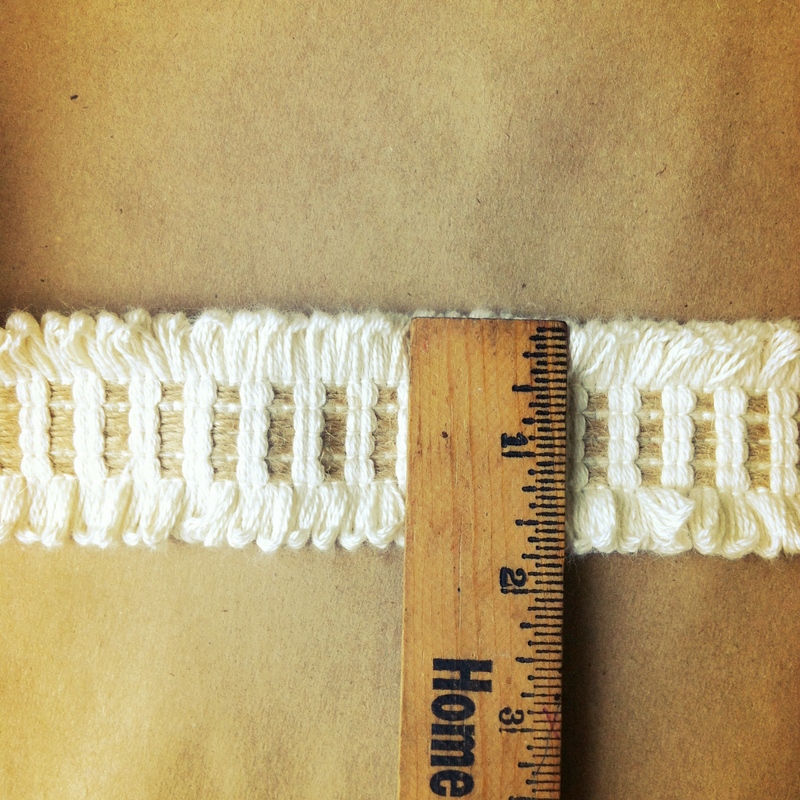 You can also choose the length of the rope. 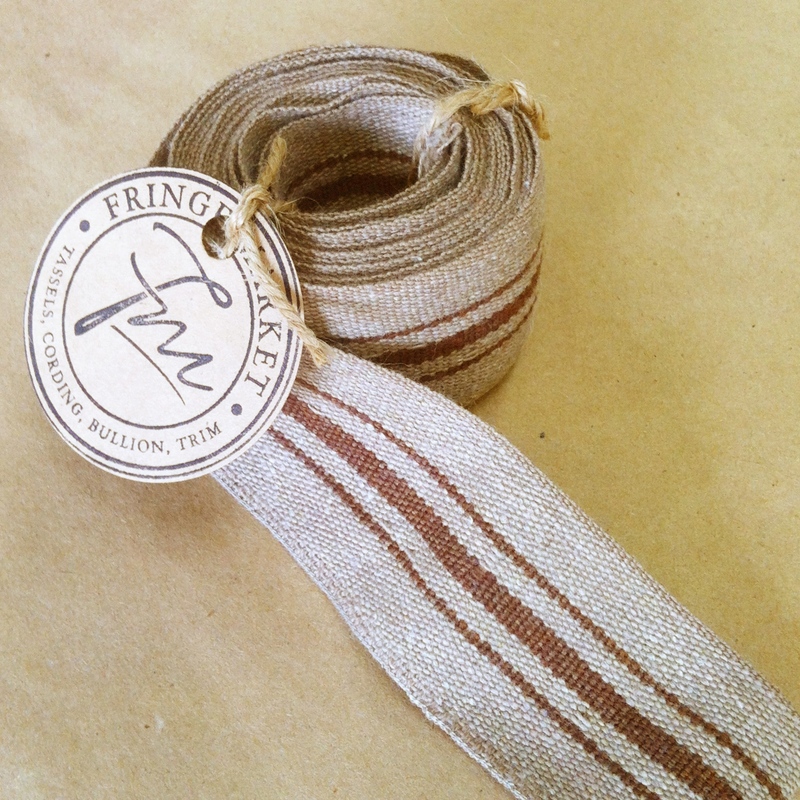 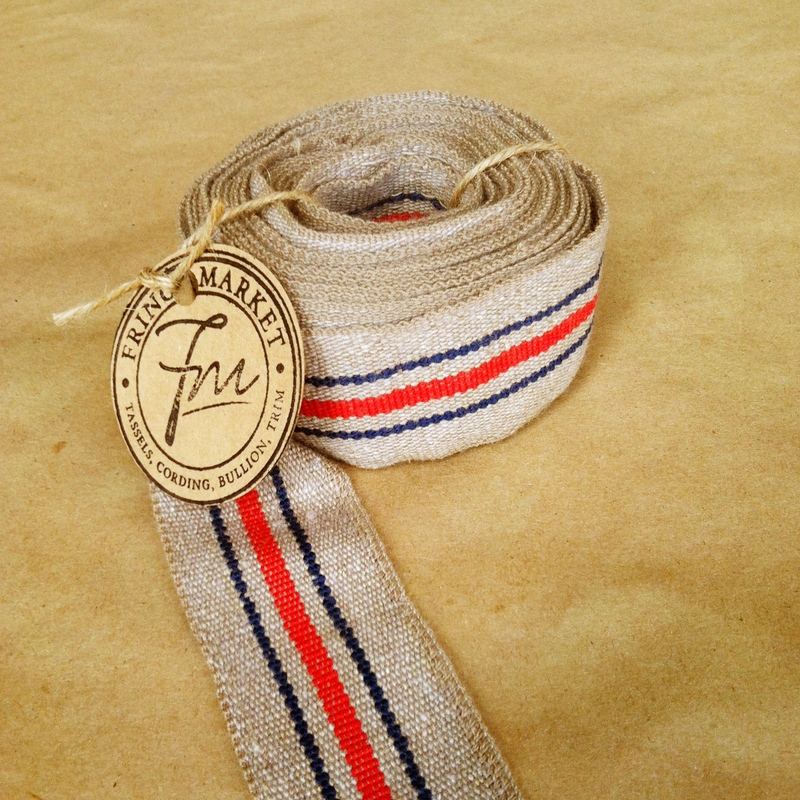 This great ribbon, webbing, tape, whatever you desire to call it, is so unique it resembles that old vintage French grain sack that we all love so much. 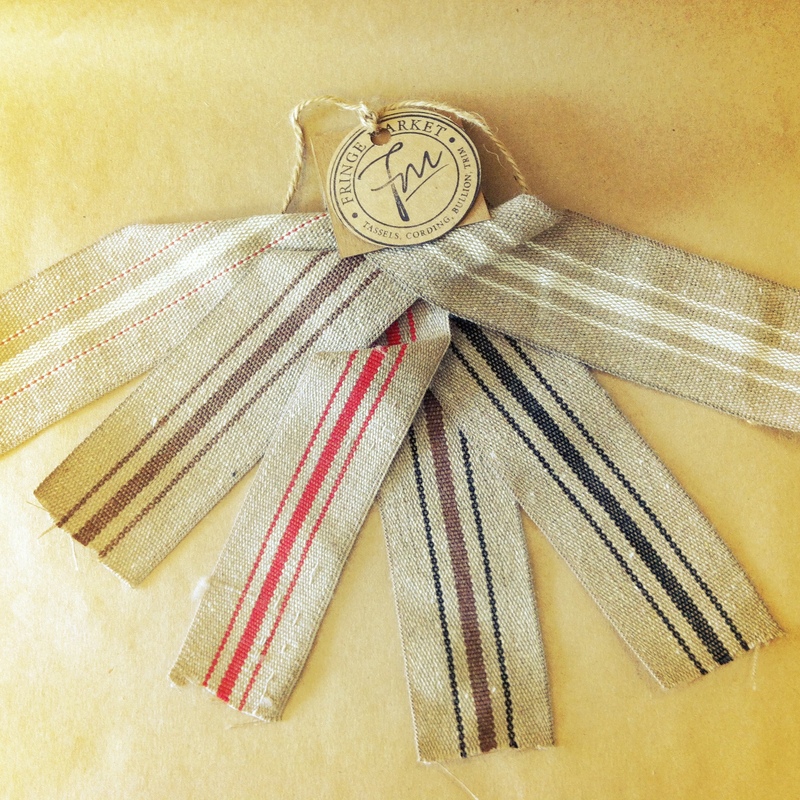 We are currently offering this ribbon in 6 colors.